“I walk from Alexandra to Sandton each working day. It takes me a little more than one hour to walk one way. I walk because the minibus taxi is too expensive, they charge 7,50 to 10 Rand from Alex to Sandton. No bus is going to Alexandra, only the minibus taxi. I am working the night shift from Monday to Friday. My work starts at 4.30 in the afternoon, so I leave home at 3 to 3.30 pm. I work until 2 am in the night and then I walk home to Alexandra. Normally I walk alone, but sometimes I can walk together with two or three friends, that is much better. 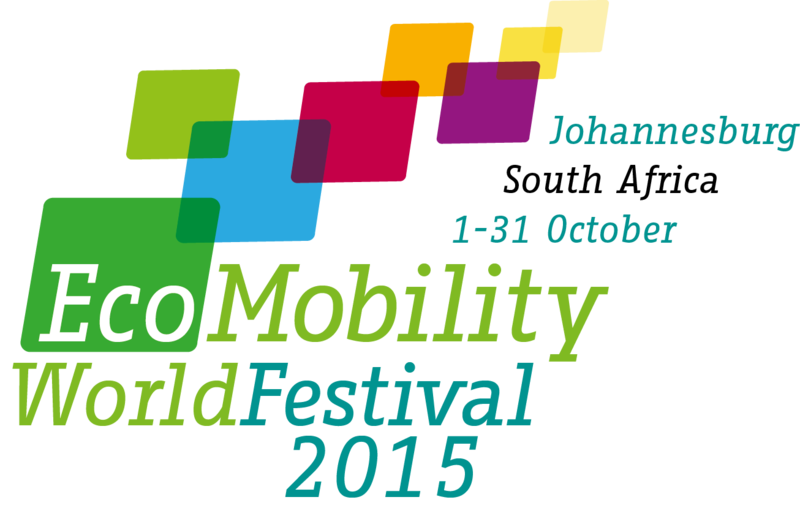 “I ask myself, how will we minibus drivers benefit from the EcoMobility Festival? We think that the government organizes this festival because it wants to promote its buses. But we feel that Sandton is there because of us. We carry all the people, we pick them up at 3 in the morning and bring them home at 11 in the night. But we don’t get much support from the government and things have become more difficult for us. Since they closed the taxi rank, we need to stand further away from the CBD. Now our people need to walk down here, with the heavy bags, in the sun and the rain. It is inconvenient for them. “Even though I live on Grayston Drive, which is very close to Sandton CBD, I commute by car. The festival is a little inconvenient for me. I have to take a detour because they narrowed some streets for new cycle paths. But for now, the cycle path is not of much use, because there are not many people cycling here. The intention of the Festival is good, but it is not the right time yet. Before you roll out such a plan, the city’s character needs to be analyzed. People first need to have confidence about their safety. When I have fear and don’t feel save, I don’t walk. So right now I don’t plan to change anything about the way I commute, because only in the car I feel safe. All photos (c) Tobias Kuttler.